Aerodynamic drag is one of the most important factors in cycling. This is especially true for individual events like a time trial or the bike portion of a non draft triathlon. It is also one of the hardest factors to accurately measure without special equipment or access to a wind tunnel which can be cost prohibitive. The time it takes to adjust equipment and test multiple positions can add up quickly and most athletes even at the professional level have not spent significant time doing these kinds of tests. The industry has taken notice though and have developed new technology to test and record drag outside of the tunnel via velodrome testing like that done by Simon Smart of Drag2Zero and even special bike sensors like the new Argon 18 triathlon bike, which provides immediate and post ride data on aerodynamics. Many athletes themselves are also now very much aware of the benefits of their aeroness. Some athletes, such as Canada’s Cody Beals, have performed extensive field and race tests over the last couple of seasons to dial their position in only to later use the wind tunnel to confirm estimates and make tweaks. At Best Bike Split, this approach is something we are extremely interested in. Athletes can use field testing or previous race data to achieve a good estimate of their aerodynamic drag at little to no cost and use tunnel time or the velodrom testing to do fine tuning as opposed to total position overhauls. One athlete who has embraced this concept and knows the significant impact and advantage this knowledge can bring on race day is the UK’s Joe Skipper. On May 16, 2015 I was at IRONMAN Texas to help the live broadcast with some time predictions and power analysis of the race. During the broadcast we all started to notice the name Joe Skipper, who was tearing through the field on the bike. To be completely honest, I was not familiar with the athlete who was blazing to the fastest bike split, outpacing Lionel Sanders by over a minute in route to a bike course record of 4:10:07 and a second place finish at the North American Championship event. While the time was amazing one thing that was striking about Joe was how good his position looked and how smooth he was riding. I later found out that he rode the course at an average around 300 watts which was approximately 15 watts less than Sanders. Joe and I exchanged some emails and before Kona 2015 we had started to run some Best Bike Split models to determine the power he would need to achieve certain times on the course. The greatest unknown variable in these models was CdA, or his drag numbers. To give a good starting point we used his data from IRONMAN Texas to formulate an initial drag estimate of approximately .235 using our newly developed Time Analysis tool (see how you can estimate your drag here). At Kona, Joe came in a bit faster than what the model had estimated for his actual power data. Joe had tweaked his position a bit between the races elevating his arm position and dropping his torso a bit as well as changing helmets giving him an impressive estimated CdA of .23, which equated to around 2:30 minutes faster than if he had raced his position from IRONMAN Texas. This season, Joe has continued to tweak his position and equipment. We have been providing him with both pre and post race analysis to help determine what is working and what is not. This . year, at Challenge Roth, Joe went sub-8 hours on his way to a second place finish behind Jan Frodeno (whose bike position we discussed with Quarq after his Kona win here). Joe had an amazing race, but his time on the bike for his power output did not line up. Looking at the photo below you can see that his position is higher in the front than that from Kona. The data revealed that his drag was significantly higher as well at a CdA of .245. This drag difference accounted for about a five-minute difference, and while that would have not put Joe in first, he would have been much closer to Frodeno on the day. By using his race data and field testing Joe was able to rule out positions to test and really work on achievable real world aero goals with his limited test time. The chart below shows the impact to Joe’s race times for his various position and equipment adjustments as well as weather conditions on the day. 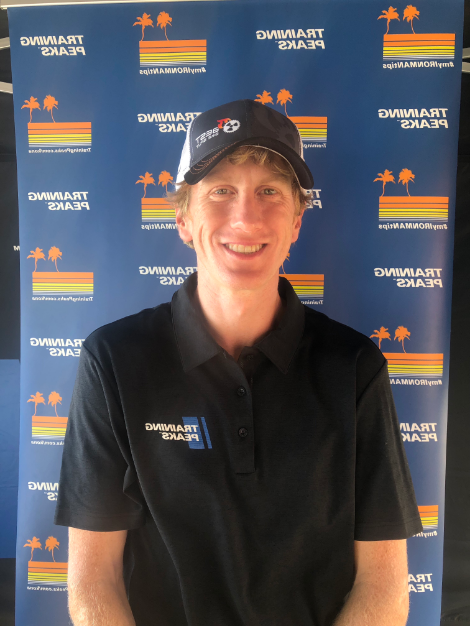 A CdA of .22 is very rare in triathlon and outside the velodrome, making this a bit hard to maintain, but his racing and testing has shown the significant impact this position has on his time. He has set himself up to have his best possible race at the 2016 Ironman World Championship and we are excited to see how it turns out. We know aerodynamics trump most factors in non draft triathlon and time trials, and that an athlete’s position has the biggest impact when trying to cheat the wind. Using prior race data and field testing is an excellent way to understand where your own aero baseline is so that you can start to refine position and make meaningful time gains at little to no cost. This will also help you create more accurate models in Best Bike Split and more importantly help fine tune future race strategy. Like Joe, once you have dialed in a strong base position it might be time to step to the next level with velodrome or tunnel testing to achieve your optimal aerodynamics.